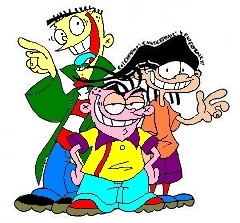 Ed, Edd n Eddy. This picture is black and white first, after I use Windows Paint to colour, it becomes this.. Wallpaper and background images in the Ed, Edd and Eddy club tagged: ed edd n eddy picture. This picture is black and white first, after I use Windows Paint to colour, it becomes this.